I have always wanted to be able to do a handstand. The balance, control and strength needed to keep ones self upright has always impressed me. As a child, my brother and I would have contests at my grandparent’s cottage to see who could hold a handstand longer. We would wade out to about three or four feet of water, dive in, place our hands in the sand and stick our feet out. The water would help keep us in place and we’d usually argue about who had actually held it the longest or straightest or if the toes were pointed. Tom and I argued about everything. These verbal spats usually ended up in physical tussles with me on the bottom (he was a foot taller than me and 50lbs heavier). When this happened in the water it wasn’t the safest but of course, we weren’t much thinking about that. The goal of the “underwater handstand” was to try to do it in as shallow of water as we could. We weren’t very successful when we went shallower than 3 feet. I resigned myself to letting the professional gymnasts achieve the elusive handstand and other such calisthenics’ tricks. Many years later, as I got more into bodyweight exercises, a belief was planted inside my head that one day I might be able to do a handstand… not the kind that requires water for support but a full-fledged real handstand. I picked up a copy of Gold Medal Bodies’ Parallettes Two Program and started to work my way through it. I’ll never forget the day I held a handstand for 10 seconds. It was one of the greatest feelings in the world. As a child, I often wondered what it would be like to fly. Soaring through the air like Superman. Ahhh… true freedom. I can’t imagine the feeling of flying being too far from doing this 10 second handstand. At the end of ten seconds, I lost my balance and my feet hit the floor. I felt like I had climbed Mount Everest and let out a “Yes!” and did a fist pump (Yep, I’m one of those guys.). Since then, through consistent practice, I am now up to a 76 second handstand and working on my handstand push ups. Why Are Tricks So Awesome? You and I are blessed to live in a time where the skills of people all around the world can be made known to anyone with a computer. Internet sensations like Hannibal for King, Denis Minin, Hit Richards and many others are paving the way for the calisthenics movement. They can control their body in ways that seem humanly impossible. They motivate us to get in better shape and achieve something we didn’t think was possible for ourselves. Are calisthenics tricks only meant for the “Michael Jordans” of the calisthenic world? There are many programs out there that teach incredible calisthenics tricks to “everyday people” like you and me. They break down challenging holds like the planche and handstand into sequential drills that anyone can practice. Through consistency and time – these challenging tricks become reality. ANYONE can achieve ANY calisthenic trick with the right plan, effort and patience. 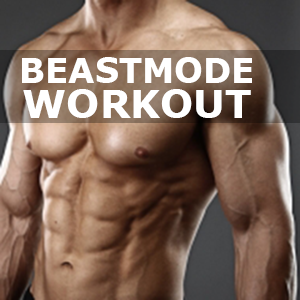 This leads me to the NEW 12 Week Summer Calisthenics Trick Challenge. What Is The 12 Week Summer Calisthenics Trick Challenge? Have you ever had the desire to be able to do a handstand? 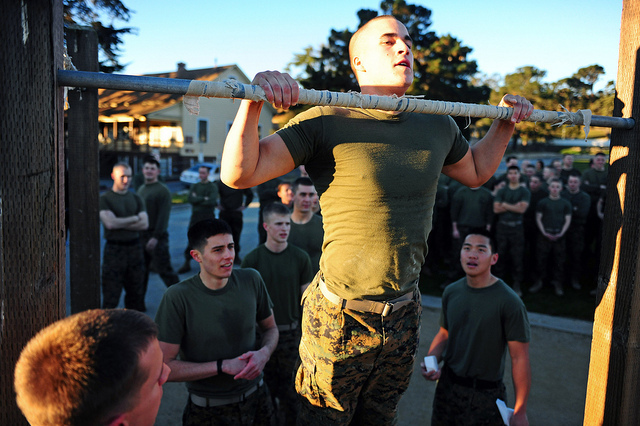 Are you super impressed with tricks like the planche, muscle up or front lever? 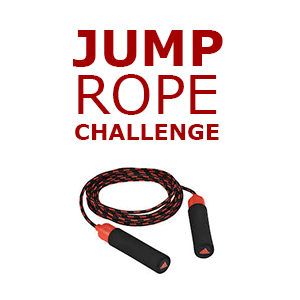 I would like to formally invite you to the NEW 12 Week Summer Calisthenics Trick Challenge. For the next 12 weeks, you are going to pick one calisthenic trick to work on. Then you are going to be held accountable throughout the summer to actually striving to accomplish it through a private calisthenic FB group where you can ask questions, share progress and encourage others. If you have ever wanted to learn a calisthenic trick, this is your chance. Starting date is June 16th. End date is September 7th. The list below shows just a few of the calisthenics tricks to choose from. I HIGHLY recommend only picking one. Your ability in the other tricks may improve as you work on your main trick. However, its very easy to get distracted so I recommend staying focused on achieving one trick. You Pick – Do you know of another trick you’d like to learn? Go ahead and pick that one. My goal is to do 10 handstand push ups in a row by the end of the challenge: Sept 7th. What if all of these tricks seem way out of your league? The goal of the challenge isn’t necessarily for everyone to be able to do a perfect handstand or a full planche. The goal of the challenge is to move you in that direction. If you achieve your calisthenic trick in the 12 week time frame. Great! If you don’t, that’s still great, as long as you have moved a few steps closer. A couple weekends ago, I was in Detroit for my brother-in-laws’ wedding. I was in the car with my other brother-in-law and we needed to get to the church where my brother was getting married. He typed in the address in his Android phone and a voice guided us street-by-street to the destination. When it comes to reaching your destination for achieving your calisthenic trick, follow the intelligence of my brother-in-law. Know your destination and let the system guide you. My highest recommendation for a plan or system is to go with Gold Medal Bodies. They lay things out so simply and effectively. After you have chosen a plan, join our invitation-only Calisthenics FB Group. This group was created with the sole purpose of keeping each other accountable for achieving calisthenics tricks. I even invited Amber (Director of Client Experience at GMB Fitness) to join the group. She’ll be available to answer any questions related to the GMB programs. Lack of accountability is one of the central reasons people don’t achieve their goals. We can all have the greatest of intentions but if we don’t have people around that pick us up when we fall, we don’t achieve our goals. Click here to join the group. After you request to join, I’ll need to “accept” you so please be patient. I’ll never forget the advice of my friend Pete Thomas. I attended a lecture given by him in my home town of Grand Rapids. He told the audience that if you really want someone to achieve results have them take their before picture before they start a program. Then tell them that on their goal date of finishing the program you’ll either publicize their before picture or their after picture. By publicizing your goal below, your motivation to achieve it will increase. The followers of SOA will know what you are working on and will be here to support you and encourage you. 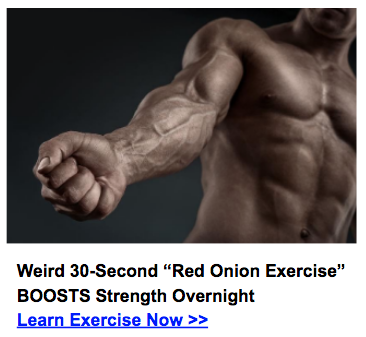 If you have ever dreamed of being able to achieve one of the above calisthenic tricks this is the perfect opportunity. Are you ready to start the Calisthenics Trick Challenge? Goal: 60″ handstand. Currently can do 60″ against the wall. Awesome Carl! Great goal buddy! I’m in! I even purchased the P1 program with Flexibility as well. Please approve my request to join the FB group. As far as my goal, I’m not sure what trick I can get to out of the P1. We can discuss what to shoot for in the group. Goal: first ever handstand. I’ve had that in the back of my mind for a long time and haven’t done anything to focus on it and really get there. Thanks for the inspiration! For sure Maggi! Do you want to set a time frame on that? Say 3 seconds? 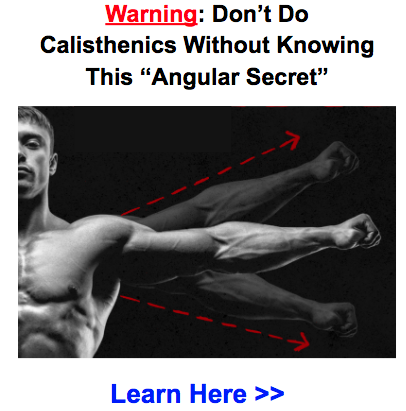 Is the human flag a calisthenic trick? Maybe it has another name, but I had sort of made this my goal to achieve by end of summer, and have had trouble getting started on working on it. Intimidation factor I’m sure. And here comes this challenge! Perfect timing. Let me know if this ‘trick’ falls under your challenge. Thanks! Love your blog, BTW! Glad you enjoy the blog Trace! Awesome Paul! Love the determination! My goal is to do muscle ups. Looking forward to the 16th Todd. How many Michael? What’s the number you are trying to reach? Specificity is super important in achieving any goal. Definitely Carrie. How’s your handstand been against the wall? Once you have a solid ability against the wall, then you can start to practice away from the wall. To be able to do a first handstand. 3-5 secs I am aiming for. Is it too long? Thanks for the opportunity to join this community Todd. 10 sec however, it was fleeting! Im having trouble reproducing…but, i feel its time to go for the muscle up. I want both! (actually ALL) but will temper my enthusiasm and pick the muscle up. lol. Hi Todd. Thank you for organizing this. My goal is to do at least 5 muscle ups. It’s a trick I’ve been wanting to master for a few months with no success…yet. Looking forward to the challenge. Awesome Gabriel! That’s an incredible goal. 5 second handstand. I signed up for the GMB handstand course on udemy. The goal would be to complete a full 4 reps (2 left 2 right) with smooth transition in between. I think this is an awesome idea, Todd. Plus, I’ve wanted to do a pull-up for about a year, but kept letting other things take priority; so this would be perfect to hold me accountable and finally achieve my first one! Awesome Amanda! Of course. Here’s a post I’d recommend checking out. Thanks for that –I’ll definitely have to focus on the good body positioning, especially at the start before I get used to it. i just saw this in my email. i already have the flag and the handstand.!! now im working to a full planche and front lever, and a v sit. im also close to a bent arm planche (though that is more of a trick to play with while getting a true planche)! 30 sekonds hand stant, currently I can do 30 sekonds crow. I’m a bit late for this but I’m aiming to be able to do a straddle planche for about 5 seconds, any tips on how to start training for it? GMB have some nice tutorials for achieving the planche. Check them out! This was great for encouraging man, I in fact did my first 10 second handstand today as well and it was the greatest feeling of accomplishment I’ve ever felt in my life. I’m gonna keep learning of course, do you have any tips on the handstand that helped you progress? It’s not a trick, but I’d recommend you take your time with every step and make sure your body has adapted the new stress before moving to the next step. Being able to do a 1 minute hand stand is not worth badly injuring your body. Atm Im able to hold it 5 seconds ? I am able to do a single-leg front lever for at least 5 seconds, but I really want to master it. My goal is the front lever. If you really want to do it, you can. Let me know how it goes.